State College Borough Council on Monday approved long-debated changes to overnight parking that include a permit system pilot project for the Highlands neighborhood on Penn State football weekends and during other special events. 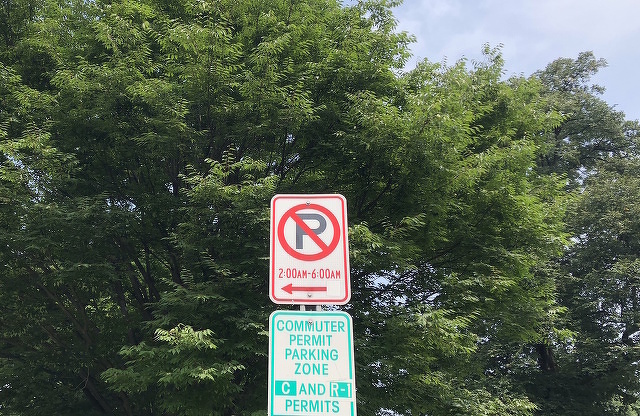 Council previously approved changes to overnight parking restrictions, but the measure was vetoed by Mayor Don Hahn, who said he believed the proposal needed to be reviewed by Transportation Commission and opened to more public comment. The ordinance passed on Monday night, by a 5-2 margin, included some slight modifications recommended by Transportation Commission following its meeting last week. Council members Evan Myers and Dan Murphy maintained their opposition to the ordinance. Only one resident spoke during the public hearing, to ask for clarification about what council would be voting on. With the new ordinance, the borough will implement a permit system for the Highlands on a pilot basis beginning Jan. 1, 2019 and continuing through July 2020. The pilot was initially expected to begin this football season, but borough staff recommended delaying implementation because of changes to the plan since the technology to be used was tested. The ordinance allows the borough to continue its practice of not enforcing the "no parking 2 a.m.-6 a.m." restriction in other neighborhoods during football weekends and other special events. Highlands residents, however, will be able to register and use ParkMobile to request overnight permits during those special event times for a fee of $10 per 24-hour period. As written, the ordinance does not place a limit on the number of permits that can be obtained per residential address. In a change from the initial proposal, residents will not be required to pay a fee for overnight permits during non-event times. Highlands residents will need to use ParkMobile to request those permits as well. The initial proposal also established a list of special events -- such as football weekends and Arts Festival -- during which the overnight restriction would be lifted in other neighborhoods and for which Highlands residents would need special permits for their guests. Instead, the approved ordinance requires borough council to approve annually a list of special events and times. THON weekend would likely be the first special event when the new ordinance takes effect in 2019. Permits will not be issued for residences being used as short-term rentals, such as Airbnb. Borough Manager Tom Fountaine said that has been the practice under the current system, but that the borough is not always able to identify when it is a request for a short-term rental. Murphy said that because Airbnbs are not prohibited in the boroughs, he had concerns about preventing them from obtaining permits. No exceptions are permitted for the prohibition on lawn parking, and the borough is already enforcing that. Through the remainder of the year, parking staff will continue the practice of not enforcing the 2 a.m. to 6 a.m. street parking restriction during football weekends borough-wide. The changes come after the Highlands Civic Association requested in 2017 that the borough try enforcing the 2 a.m. to 6 a.m. restriction in the neighborhood during football weekends, citing negative effects of traffic and street parking because of its proximity to downtown. Borough staff studied the issue and Transportation Commission recommended enforcing the restriction at all times. Borough Council instead decided in April on the permit pilot project, which had not been reviewed by Transportation Commission. The proposal was met with opposition by some who said it was unwelcoming to visitors. HCA leaders, meanwhile, said they simply wanted enforcement of the restriction on football weekends and did not request the pilot project or target other special event times. Council member Theresa Lafer said on Monday she was disappointed to see the issue be framed as an "us vs. them" issue between homeowners and renters, or long-term residents and students. "I’m really disturbed this has turned into an ‘us and them’ instead of the neighborhood would like to be safe and clean and usable for everyone," Lafer said. "That’s everyone who lives in the neighborhood. Whether you own your home, whether you rent it, whether you’ve been here 30 or 50 or three years, or three months, or an hour and a half, you’re a resident." 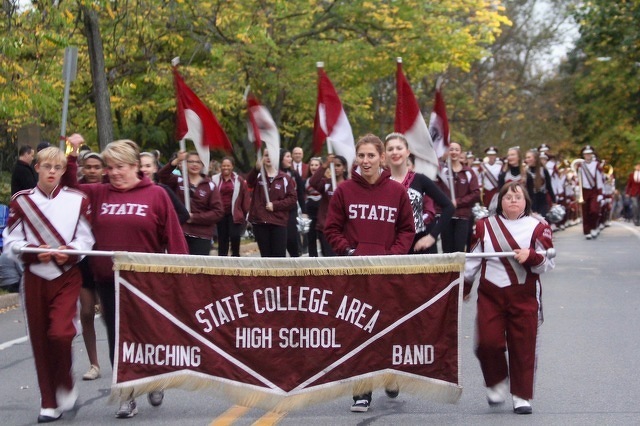 State College Area High School celebrates Homecoming week with its annual parade on Thursday, bringing some street closures and traffic changes. The parade begins at 6 p.m. and is expected to last about an hour and a half. The parade route will be closed to traffic starting at 5:45 p.m.